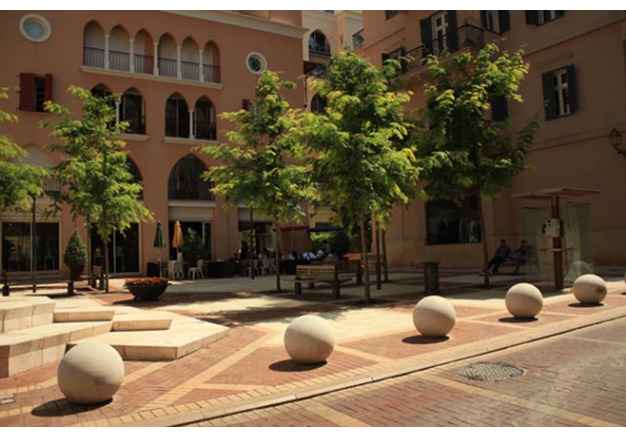 The program behind this intervention was the urban planning and rehabilitation of the luxury/residential Saifi Village quartier, the first commissioned by Solidere (The Lebanese Company for the Development and Reconstruction of Beirut Central District s.a.l) for restoration following the events of the war and political uprising. 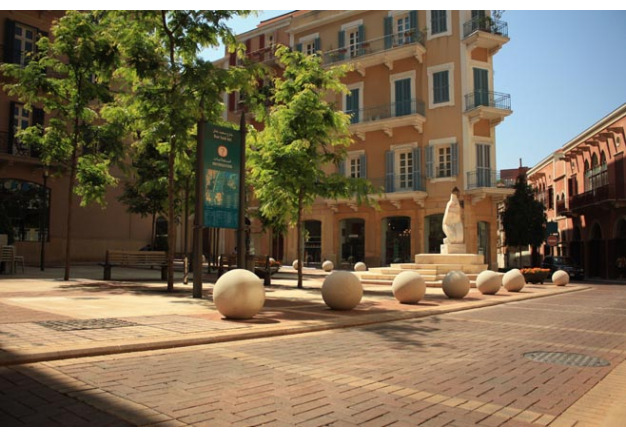 A joint effort was carried out between the landscape design team and urban planners to restore and create new spaces with a traditional touch reminiscent of the cultural heritage of the city. The brief consisted of the creation of a quartier rendered alive by youth, it vibrates and inspires. 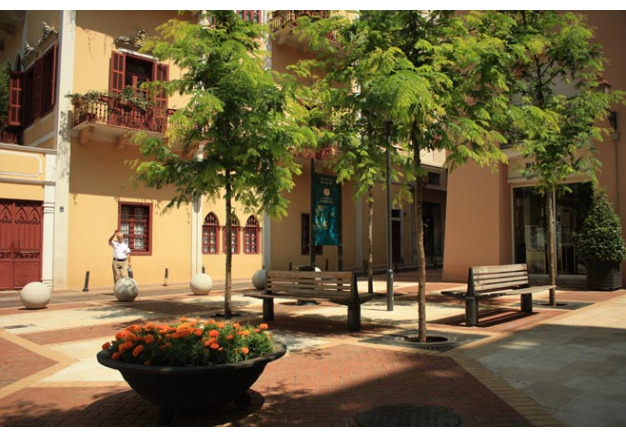 A template and a model for future developed areas, this multi-usage quartier includes art galleries, boutiques, restaurants, and plazas. 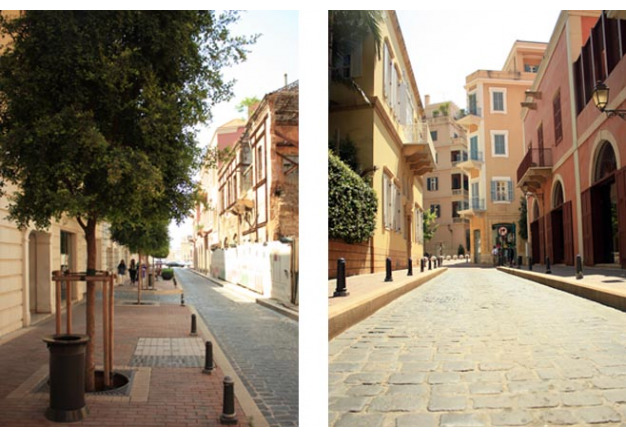 It is a quartier with a "Neighborhood quality" amidst a busy city. With its large sidewalks permitting a smooth network of pedestrian tracks or trails, it is safe, familial, tranquil, and most importantly inviting, as it provokes the use of outdoor space. 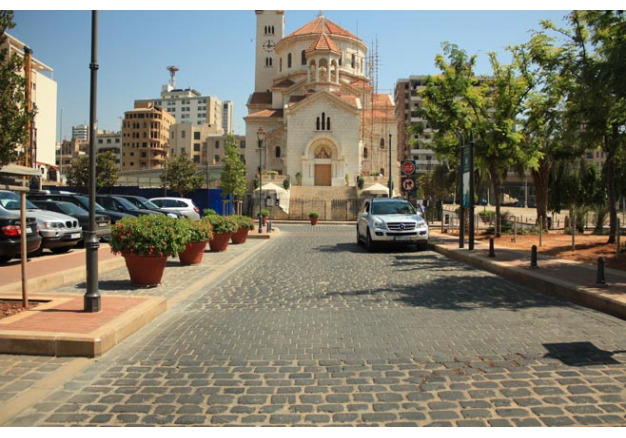 This urban planning study created guidelines that redefine the entire strategy of green zones in a part of Beirut that was the first to be restored after the war. 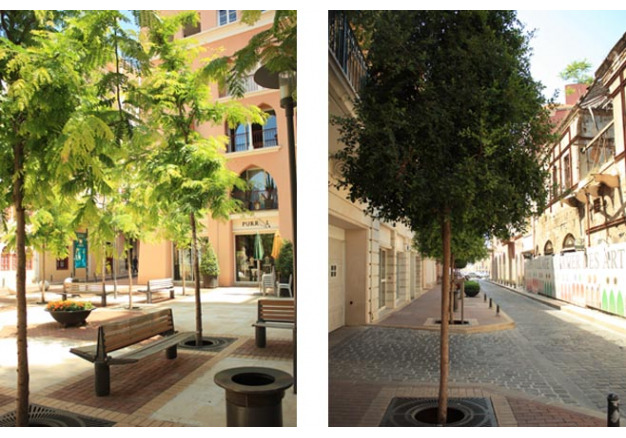 The new guidelines gave priority to pedestrians, by focusing on large piazzas, pedestrian zones and landscaped squares, inserted harmoniously, to create a unified urban fabric, whose gardens and plazas link both public and private buildings.